This guide looks at past exports from UK to worldwide destinations. 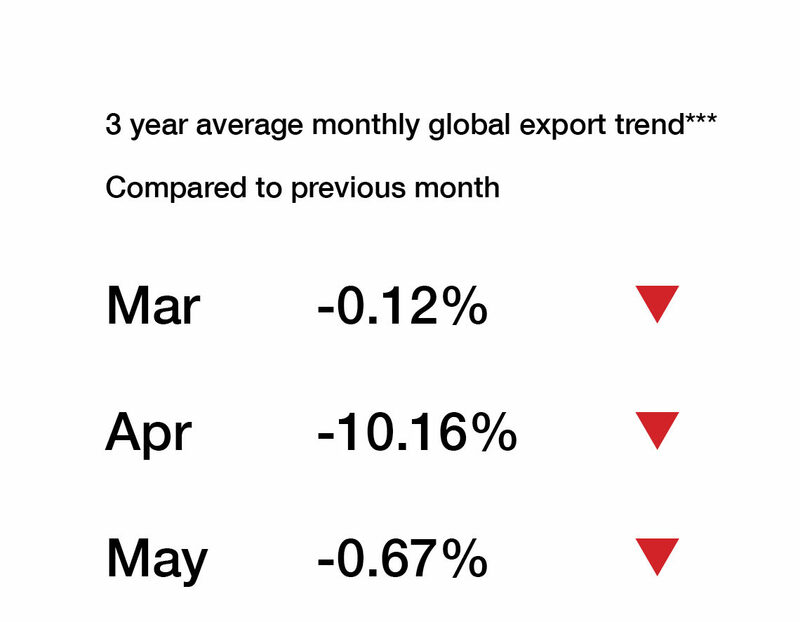 On the surface, the average amount of exports over the last three years looks barely unchanged, but the picture underneath is a little different. In May 2017, global exports fell by 10.69% to 222,652 . . .